Alumni ID Cards: Get Yours Today! 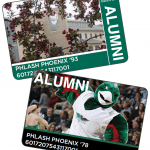 Alumni ID Cards are now available online at the Phoenix Bookstore for $15. The lime green Alumni Swag bags that come with your ID card purchase are while supplies last. Get yours today! This entry was posted in News and tagged Alumni ID Card on May 9, 2018 by moodyk. 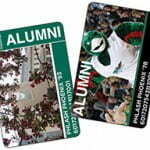 Alumni ID Card – Get yours today! More than 400 alumni are already enjoying the rewards of the Alumni ID Card. You should too! This lifetime card costs just $10 and allows you to take advantage of benefits throughout campus including on-campus discounts and special promotions from The Phoenix Bookstore, Green Bay Athletics, the Weidner Center, Marcus Cinema East, and more! Just last week Alumni ID Card holders were offered $10 off tickets to see Pippin’ at the Weidner Center! To learn more about the benefits of the card or to order, visit Alumni ID Card. This entry was posted in News and tagged Alumni ID Card on January 16, 2018 by moodyk. 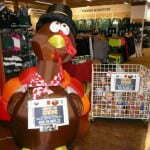 “Thanks For Giving” Sale-Donate a canned good or cash and receive a discount on apparel and gift items. 1 item=10%, 2 items=20%, 3 items or $5=30% November 21-25. Store closed for Thanksgiving but OPEN Black Friday 8 am – 4:30 pm. Sorry, no online promo code. Shop online November 20-26 and December 4-21 and receive free freight! Promo code “FREESHIP”. As always, show your Alumni ID Card and receive 10% off your purchase (no textbooks, one discount per transaction). The lifetime Alumni ID Card costs just $10 and allows you to take advantage of benefits throughout campus including on-campus discounts and special promotions from The Phoenix Bookstore, Green Bay Athletics, the Weidner Center, Marcus Cinema East and more. To learn more about the benefits of the card or to order, visit Alumni ID Card. This entry was posted in News and tagged Alumni discount, Alumni ID Card, The Phoenix Bookstore on November 16, 2016 by moodyk. More than 200 alumni are already enjoying the rewards of the Alumni ID Card. You should too! This lifetime card costs just $10 and allows you to take advantage of benefits throughout campus including on-campus discounts and special promotions from The Phoenix Bookstore, Green Bay Athletics, the Weidner Center, Marcus Cinema East and more. To learn more about the benefits of the card or to order, visit Alumni ID Card. This entry was posted in News and tagged Alumni ID Card on August 24, 2016 by moodyk. Get your Alumni ID Card today. This lifetime card costs just $10 and allows you to take advantage of benefits throughout campus including on-campus discounts and special promotions from The Phoenix Bookstore, Green Bay Athletics, the Weidner Center, Marcus Cinema East and more. To learn more about the benefits of the card or to order, visit Alumni ID Card. This entry was posted in News and tagged Alumni ID Card on November 12, 2015 by moodyk. The long awaited Alumni ID Card is now available for purchase. This lifetime card costs just $10 and allows you to take advantage of benefits throughout campus including on-campus discounts and special promotions from The Phoenix Bookstore, Green Bay Athletics, the Weidner Center and more. To learn more about the benefits of the card or to order, visit Alumni ID Card. This entry was posted in News and tagged Alumni ID Card on March 25, 2015 by moodyk. The long awaited Alumni ID Card is now available for purchase. This lifetime card costs just $10 and allows you to take advantage of benefits throughout campus including access to Cofrin Library checkout services, on campus discounts and special promotions from The Phoenix Bookstore, Green Bay Athletics, the Weidner Center and more. 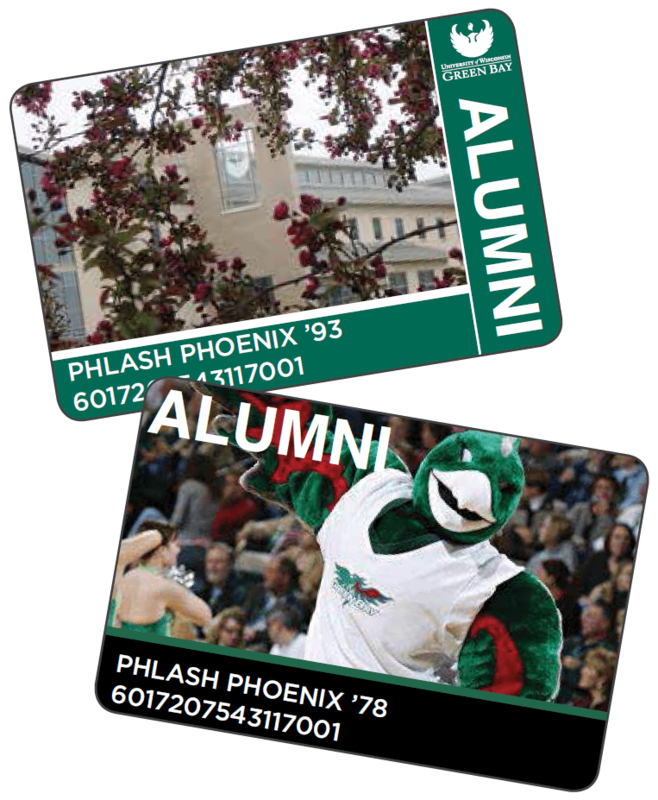 To learn more about the benefits of the card or to order, visit Alumni ID Card. This entry was posted in News and tagged Alumni ID Card on February 11, 2015 by moodyk. Posts tagged "Alumni ID Card"